Now that’s a t-shirt no leader wants to be offered. 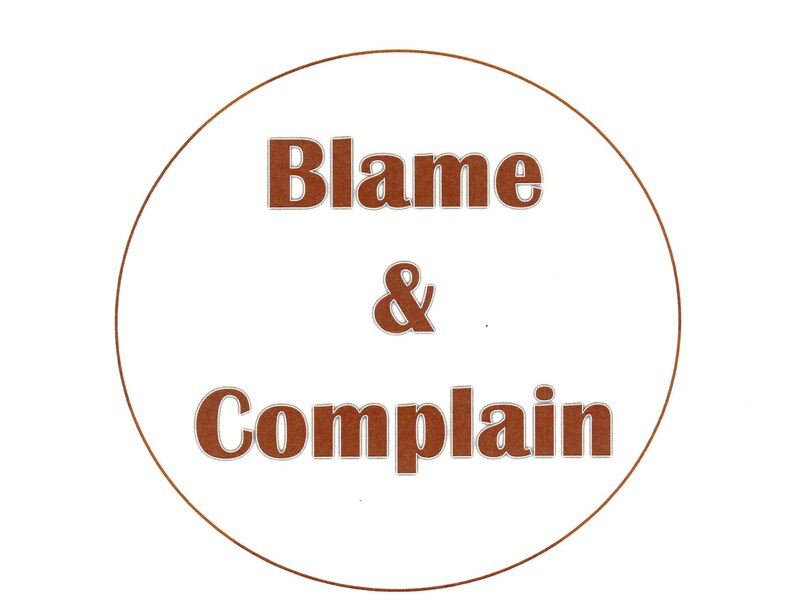 To blame and to complain are the opposite attitudes and behaviors of people who are making a difference in the lives other others and in the world. Instead of blaming others for problems, leaders take responsibility when things don’t go right even when it’s not directly their fault. The legendary college football coach, Bear Bryant, use to say “If anything goes bad, I did it. If anything goes semi-good, we did it. If anything goes really good, then you did it.” Blame, self-justification, and skirting responsibility takes leaders and their teams nowhere good. It only leads to loss of credibility, respect and broken trust ending in fractured relationships. And all those places create a spiral of poor performance which will never be broken but only exasperated by blaming and complaining. So don’t ever be tempted to wear the “Blame & Complain” t-shirt instead always be quick to put on the “Responsible & Will Solve It” shirt, it’s the one t-shirt leaders are always willing put on. You can earn some additional $$$ from your website, i see couple opportunities here.